Well, 2018 went out with a bang. 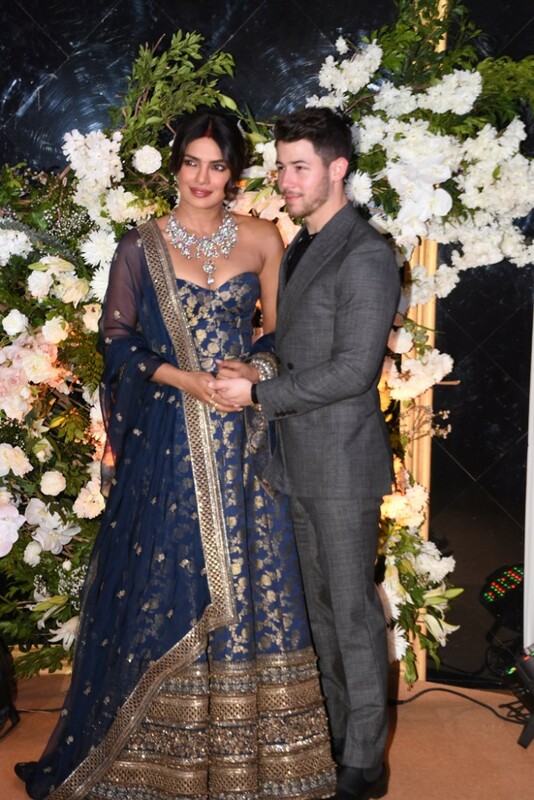 A number of celebrities tied the knot at the end of the year, but the biggest celebrity wedding of all, according to Us Weekly, was that of Nick Jonas (former Jonas Brother) and Indian actress Priyanka Chopra (former Miss World 2000). Events leading up to the wedding were absolute spectacles and their colorful wedding photos were shared all over social media. 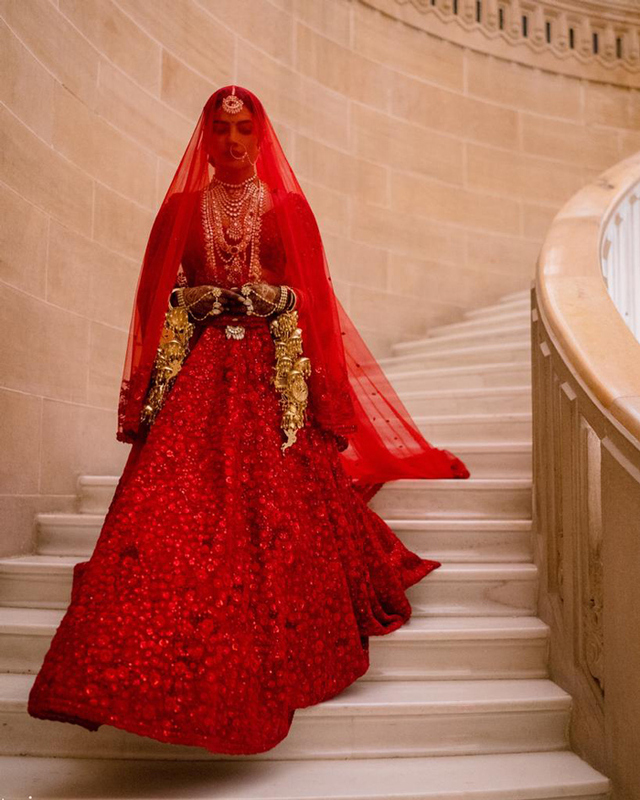 The pair said their “I do’s” at the Umaid Bhawan Palace in Jodhpur, Rajasthan, and the events literally sparked a new interest in Indian culture and fashion. Priyanka Chopra, Nick Jonas and their guests wore plenty of traditional looks created by Indian designers – placing the spotlight on Indian fashion around the world. The Fashion Design Council of India (FDCI), a not-for-profit organization, is the apex body of fashion design in India. It is represented by over 400 members and was created to promote, nurture and represent the most incredible talents in the country. Its prime objective is to propagate the business of fashion in India in the form of coveted fashion weeks. As part of its initiatives, the FDCI’s calendar of events include the annual prêt week for women and menswear for Autumn/Winter and Spring/Summer, the India Fashion Week and the yearly luxurious offering, the India Couture Week. India Fashion Week is a bi-annual fashion week organized and promoted by the Fashion Design Council of India. It was sponsored by Wills Lifestyle from 2006-2014 before Amazon became and continues to be its sponsor. Lakmé Fashion Week (LFW) has earned renown as one of India’s most prestigious fashion shows, which takes place twice a year, with the Summer/Resort show in the early months of the year, and the Winter/Festive show in August. Run through a collaborative effort between cosmetic brand Lakmé and IMG Reliance Ltd, which has made a name for itself in fashion, and entertainment marketing and management, the fashion show was conceived to allow Indian fashion to gain a foothold in the global fashion industry. Over the past few years, the fashion scene in India has finally been receiving global recognition. According to an article in WWD, published on Sept. 3, 2018, India’s Lakmé Fashion Week has been rapidly growing with sponsorship up 40 percent, according to Jaspreet Chandok, vice president and head of fashion at IMG Reliance. “This season is going to be the highest amount of sponsorship the LFW has had, having grown consistently for the last four seasons.” While individual designers are finding sponsors, “the sponsors that are coming directly through fashion week, because of the large platform where multiple conversations can happen,” Chandok observed. 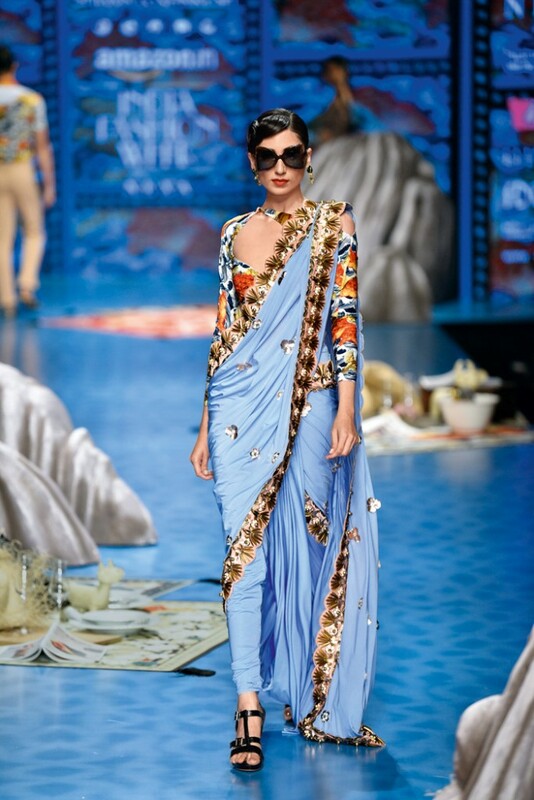 East meets West as the sari enters the 21st century. 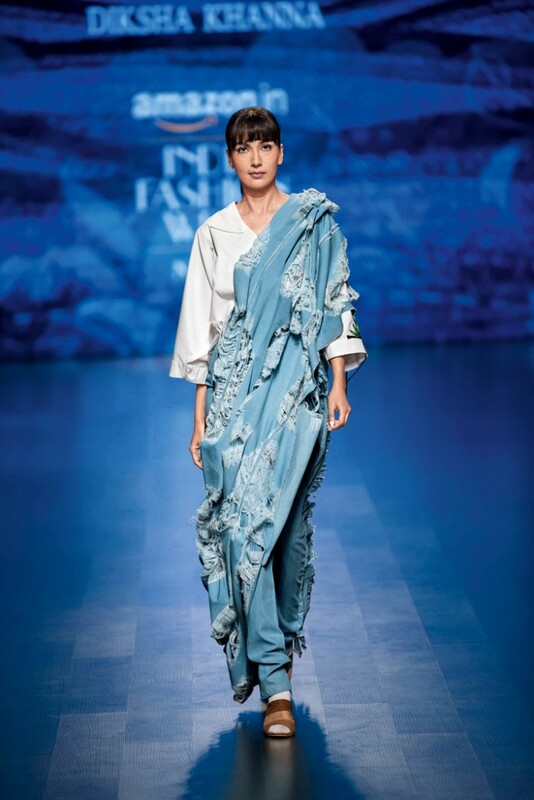 This edgy, distressed denim sari was created by Diksha Khanna, an alumni of National Institute of Fashion Technology (NIFT), Delhi and University of Leeds, UK. Diksha has worked internationally with several design houses before shifting her base to India. She is known for fine needlepoint embroideries on handloom linens, rugged, hand-distressed scrap denim pieces and languid drapes in combination with structured tailoring. The traditional dhoti gets a sultry sari makeover by Shivan & Narresh, advocates of the high-flying, party-hopping lifestyle. Shivan Bhatia and Narresh Kukreja were known as the first, and so far the only, beachwear designers in India, when they introduced their innovative Bikini Sarees. Their signature Bikini Sarees are in vogue these days and many actresses like Kareena Kapoor, Maliaka Arora Khan and Bipasha Basu have been seen dazzling in them on the red carpet. Their global clientele includes Nicki Minaj, Dita Von Tesse, Fergie, Padma Lakshmi and Selita Banks. Both designers are alumni of National Institute of Fashion Technology, where they met and combined their creativity to form an invincible team for the designing competitions. Their efforts earned them a scholarship in 2006 after winning Mittelmoda International Beachwear Award in Bali. The Shivan and Narresh 2014 summer collection featured cut out sleek gowns and bold knee length dresses, which were later adorned by actress Lisa Haydon and Priyanka Chopra, making their dresses a cool alternative to conventional cocktail dresses. Sustainable fashion designer Gaurav Jai Gupta for Akaaro (meaning the alphabet ‘A’ in sanskrit), reinvents the classic Nehru vest by oversizing and elongating it. He updates the look by substituting a dress over slim pants instead of the traditional Indian kurta over churidar pants. 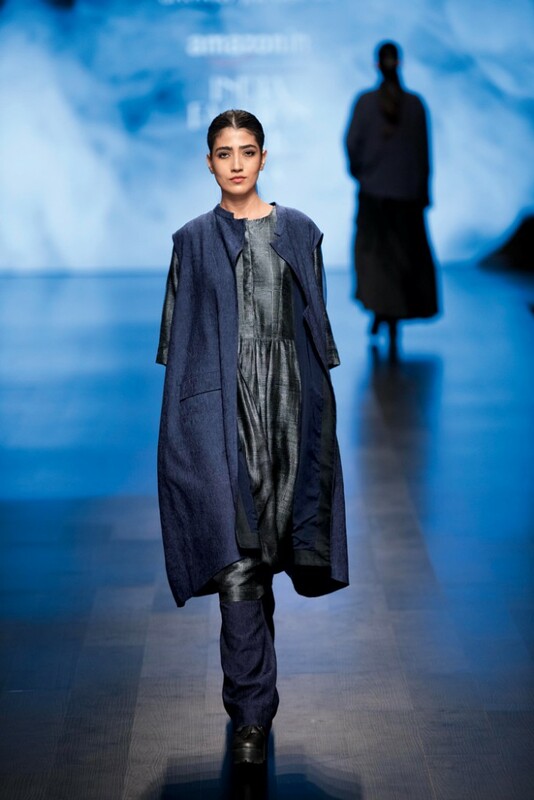 Trained as a fashion and textile designer from Chelsea College of Art and Design London and National Institute of Fashion Technology (NIFT) New Delhi, Gaurav started his company in 2010 and became the first Indian designer to be commissioned by The Woolmark Company to launch the 2014 Cool Wool Menswear collection for Raymonds in India. Aneeth Arora holds a diploma in paper technology and started out making paper clothing. Her company Péro (means ‘to wear’ in Marwari) launched in 2009. She has since won numerous awards, such as the Marie Claire for Eco Fashion in 2010, Young Creative Fashion Entrepreneur in 2011, and Vogue India’s first-ever Fashion Fund Award, which inevitably turned her into quite a hot seller in the Indian fashion industry. Known as the ‘quiet revolutionaries of Indian fashion,’ David Abraham and Rakesh Thakore (graduates of the National Institute of Design, Ahmedabad) along with Kevin Nigli, launched their label, Abraham & Thakore (A&T), in 1992. 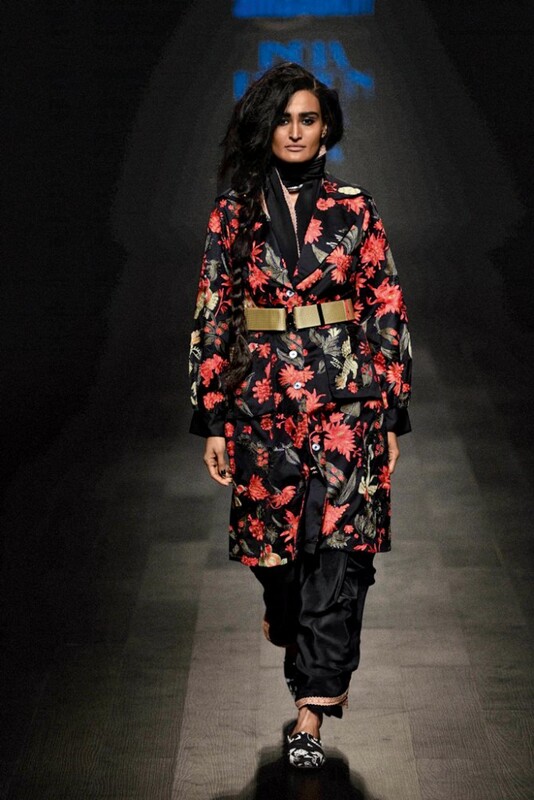 Their collections cater to the working urban Indian woman who prefers fashion that draws on tradition. In an era of female empowerment, it’s no surprise that the pantsuit continues its reign. Here Namrata Joshipura’s millennial pink version is the perfect antidote to the LBD (slang for little black dress). Joshipura, a NIFT graduate, started her company in 1996. She fuses contemporary silhouettes with modern interpretations of artisanal embellishments. Internationally her clothes are sold at Bon Marche (Paris), Sauce (Dubai), American Rag (Los Angeles) and Beams (Japan), and she spends her time between New York and New Delhi. 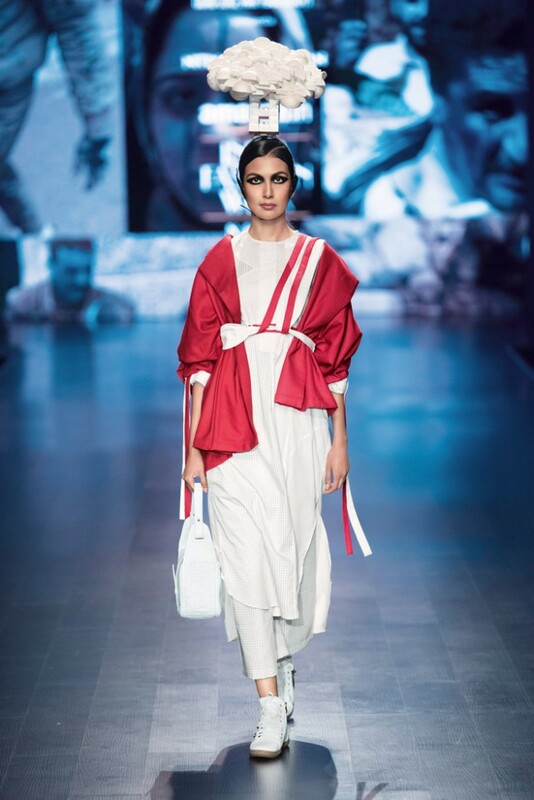 Delhi-based Siddartha Tytler graduated from St. Columba’s in 1997 and spent a year at the National Institute of Fashion Technology before moving on to the Fashion Institute of Technology (FIT). In 2002, after his return to India, he had his first show at the Hyatt Regency in New Delhi. Luscious velvet is a winter favorite. 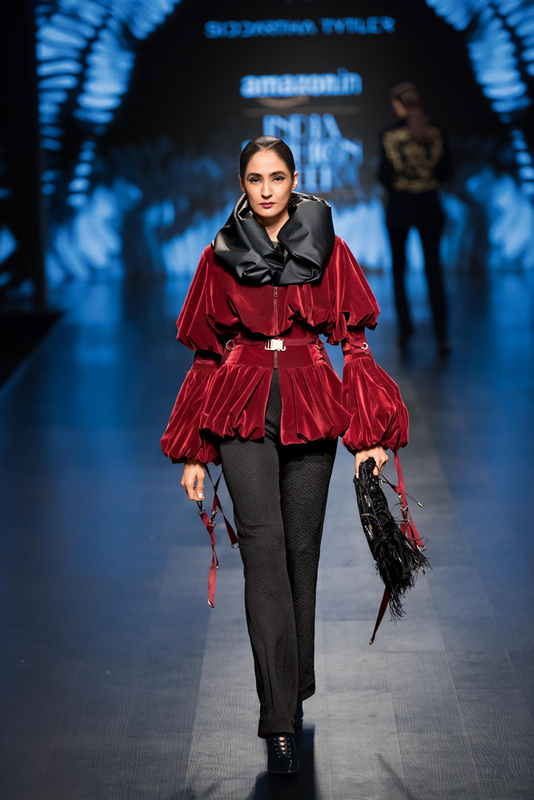 Here the traditionally regal fabric gets a youthful transformation in Siddartha Tytler’s crimson velvet puffer jacket. 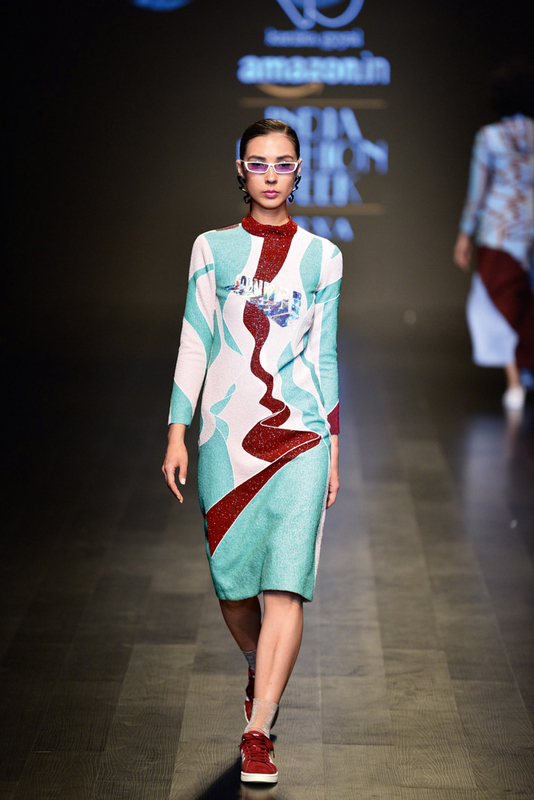 Kanika Goyal has a knack for creating abstract print dresses in clashing hues. Born in Chandigarh, Kanika graduated from the National Institute of Technology and continued her studies at Parsons. She showcased her ground-breaking “Bio:Sonic” collection in 2015 at Lakmé Fashion Week and continues to refine modern Indian fashion on the global stage. Nitin Bal Chauhan, known for his label Bhootsavar, aims to bring out the dark side of human nature. As an artist he studies society closely and finds a way to deliver a message through his work. His last runway collection conveyed a strong political message on behalf of the displaced refugees all around the world. 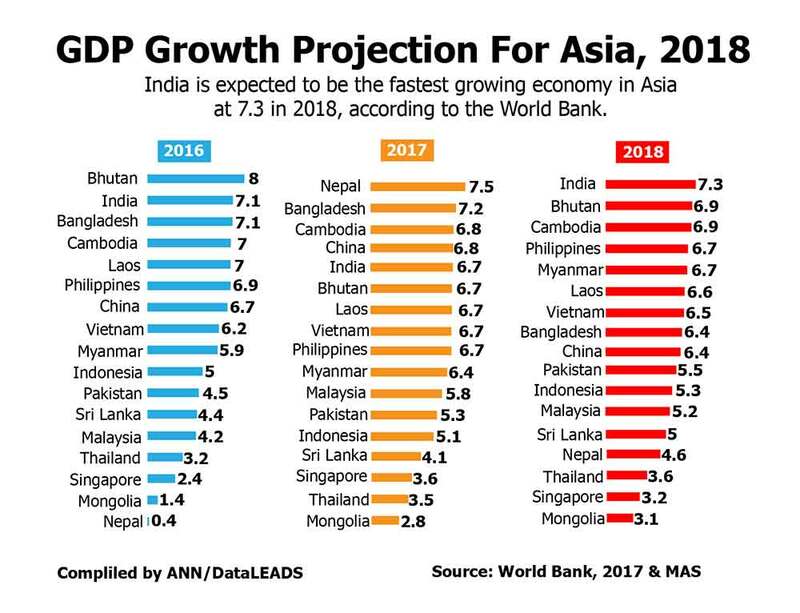 The Indian market offers great promise. 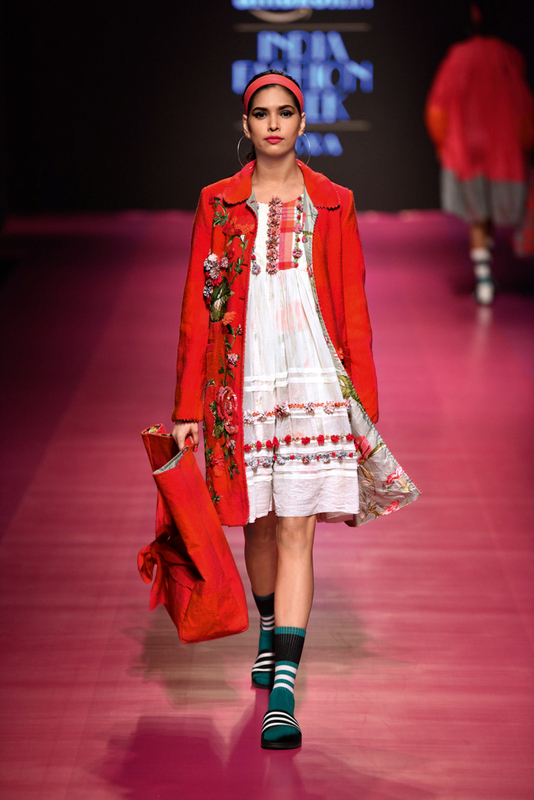 Do you think it will overtake the U.S. and China as the next big global fashion opportunity?